Anti-sterilization protest, Louisville, 1971 (Photo: Southern Conference Educational Fund). On December 26, 2017, The New York Times published an op-ed by the widely known North Carolinian activist, Rev. William Barber II. 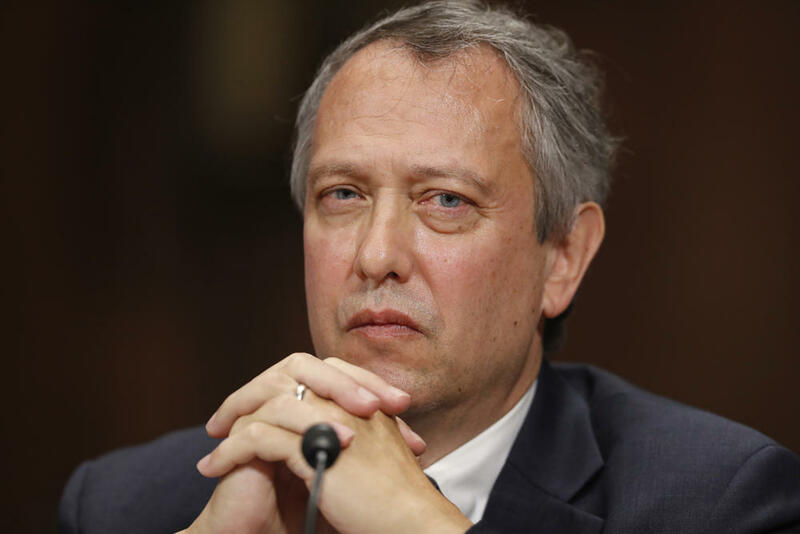 “Trump’s Terrible Choice for Judge” outlines why Thomas Alvin Farr’s nomination for the District Court for the Eastern District of North Carolina is a dangerously inappropriate choice for the federal judiciary. Chief among Barber’s concerns was Farr’s participation in Jesse Helms’s campaigns to suppress African American voters. Perhaps most ominous Farr also had a long association with members of the Pioneer Fund, a eugenics organization whose members supported Nazi eugenics and domestic programs for forced sterilization. Just months before Farr’s nomination, Judge Sam Benningfield found himself at the center of a legal hailstorm when he offered inmates in White County, Tennessee a paltry thirty-day jail time reduction if they agreed to sterilization. The judge claimed that a vasectomy for men and a four-year implanted contraceptive for women helped them “make something of themselves.” About thirty-eight men and thirty-two women consented to the procedures. One cannot avoid the racialized implications given that 44.1 percent of Tennessee’s incarcerated population is African American though only 16.8 percent of Tennessee residents are African American. Taken together these two events illuminate the continued link between race and eugenic ideology. Given its seeming resurgence, the American public must comprehend how eugenics underwent a rhetorical shift and reconstituted itself within the modern conservative movement. Farr’s associations hardly represent an anomaly. 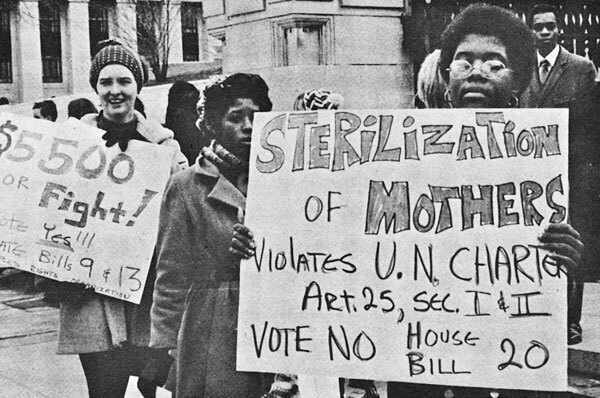 North Carolina’s history of forced racial sterilization stretched from 1919 into the 1980s. The State Eugenics Board oversaw the longest running state-sponsored sterilization program in the country. Most records remain sealed, but the limited documents available tell a story of coercion and reproductive violence. 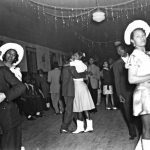 During and after the Civil Rights Movement, state efforts at reproductive control were disproportionately directed at African American women. The “Biennial Report of the Eugenics Board” of North Carolina from 1964 to 1966 documents that, of the 356 people sterilized during this period, 66.4 percent of operations were performed on African American patients and 98.3 percent of operations were performed on female patients. These numbers contrasted sharply with an earlier study on state sterilization funded by the North Carolina Eugenics Board in 1950. 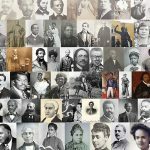 In the published study, author Moya Woodside argues that the number of white women and women of color sterilized by the Eugenics Board is proportional to the racial demographics of women in North Carolina. While this assertion ignored the possibility of forced sterilization, it still became the basis upon which supporters argued for an expanded program. In the early 1970s, new regulations put forth by the Department for Housing, Education, and Welfare along with public outcry led to a reduction in state sterilizations. Despite these changing dynamics, eugenicists and proponents of sterilization retained influence on state policies by repackaging its racialized rhetoric. Policymakers abandoned overtly white supremacist debates on biological difference between races in favor of coded conversations about overpopulation and economic strain on the welfare state. The rise of conservative politician Jesse Helms symbolized a prime example of this shift. The most damning evidence of Helm’s collusion with eugenics ideology came less from what he didn’t say and more from his associations with the most notorious eugenics group to ever exist. The Pioneer Fund was founded in 1937 by Wickliffe Draper to fund research into projects for “racial betterment.” The organization’s definition of “racial betterment” was clearly illustrated by its immediate distribution of Nazi films exalting the success of the eugenic program of the Third Reich. 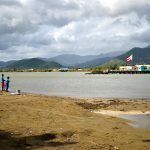 As Barber points out in his The New York Times op-ed, any such connection between a sitting US senator and the Pioneer Fund would be troubling. Despite such controversial opinions, Pioneer members found their way into Helms’s political outfits, particularly the National Conservative Coalition, the National Congressional Club, and Fairness in Media Corporation. The founder of Fairness in Media, Thomas Ellis, was also a former director of Pioneer Fund from 1973 until at least 1976. An attorney for Fairness in Media, Harry Weyher, directed the Pioneer Fund until his death in 2002. As the Director of National Congressional Fund, Marion Parrot was also a member of Pioneer Fund from 1973-2000 and a former director of the organization. These shared connections between Helms’s political organizations and the Pioneer Fund far surpassed coincidence. Instead they powerfully demonstrated how supporters of reproductive control crafted a relationship with conservative politics. 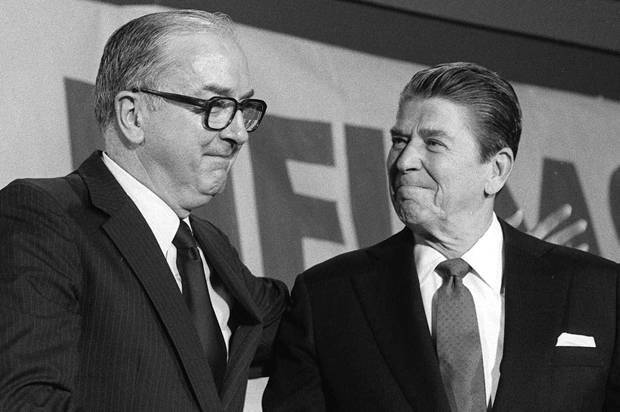 President Reagan greets Sen. Jesse Helms at a dinner honoring the North Carolina Republican in this June 16, 1983 photo in Washington (AP Photo, Ed Reinke). While the connections between the Pioneer Fund and Jesse Helms may be well-documented, the common ground between their reproductive healthcare policies is not. It is precisely these similarities in their views on sterilization and reproductive autonomy generally that historians and activists must explore in order to truly understand how and why we are again presented with Pioneer-affiliated participants in the legal system. Among the thirty-three states that created eugenics boards to oversee state-sponsored sterilization, North Carolina remains the only state to make payments to survivors under a reparations program. Though an important step, thousands of survivors are ineligible for compensation because state-sponsored sterilization by multiple governing bodies made it impossible to substantiate and identify specific culprits. As a result, documents that reveal who was sterilized, who approved these procedures, and why, frequently do not exist. 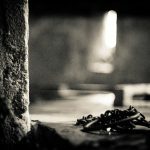 The same bureaucratic secrecy that allowed racially-discriminatory sterilization practices to flourish now prevents many survivors from seeking justice. Rather than definitively close a painful chapter in North Carolina’s history, the halting program for reparations underscores the enduring stakes in issues of sterilization and reproduction autonomy. The difficulties that plague North Carolina’s program for involuntary sterilization reparations combined with the political influence of the Pioneer Fund represent an inherited legacy of eugenics that endures with the conservative movement. By design the language of this legacy now sounds more paternalistic than overtly racist, but its core remains unchanged. Where the Pioneer Fund and eugenics board members openly imposed racial hierarchies on reproductive healthcare policies, their modern political iterations such as the Judge Benningfield’s proposal in Tennessee physically enforce eugenic ideas about reproduction under the guise of economic policy. The power structures supporting eugenic ideology not only endure, but the continued nomination of Farr despite documented association with white supremacist organizations and ideology illustrate that they thrive. If as Fox News recently insisted, the Trump administration sends out no dog-whistle calls to white nationalists, then a full rejection of white supremacy must include a rejection of eugenic organizations (and their affiliates) whose sympathies for Nazi eugenics and forced sterilization are well documented. With the nomination of Farr, there is no better moment than now to address what is surely a roar to white nationalists. Alexandra Fair is a graduate student in history at Miami University. 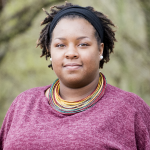 Her research interests include U.S. History, Reproductive Justice History, African American History and Women's History. Follow her on Twitter @alexandrakfair.